Here's another link with a serial number dating chart . Worth looking at, but they mention nothing about Braunau factory ! 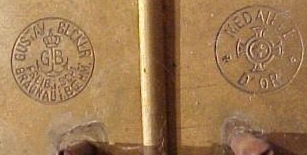 I have seen many people selling Gustav Becker clocks apply a date to them based on the serial number on the movement. In many cases I believe the dates provided may be incorrect. I'm not an expert, nor do I claim to be. As a beginning collector of European, Austrian, & German clocks, I hate to see people be mislead intentionally or accidentally, when there is information out there that can help. Many people are inappropriately dating clocks made in the Braunau factory using the Gustav Becker Freiburg factory chart that is contained within the books listed below. This yields a completely bogus date and is false and misleading. Please note that I am merely passing along what I see in the books listed below and you, of course, may do with the information what you wish. I urge you to do your own research and/or consult an expert before making any expensive buying decisions. Naturally, if anybody has better information that I do, please pass that along to me and I will happily correct anything that is in error. 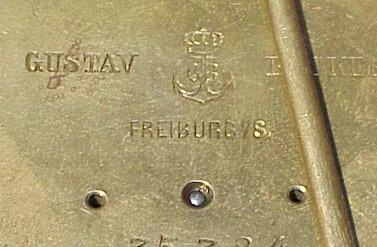 2) Clocks made in the GB Freiburg factory can be dated with some level of accuracy based on the serial number. 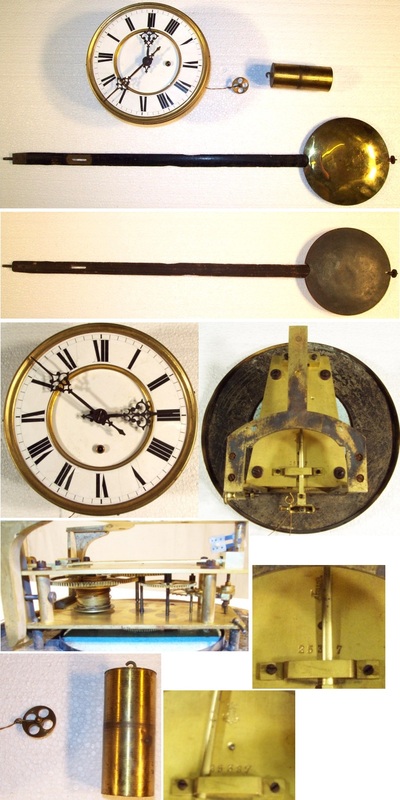 3) Clocks made in the GB Braunau factory cannot be dated with any accuracy, as the factory was possibly opened in 1888. 4) According to the books, Freiburg was making close to 100k clocks a year by 1880, so one might assume that Braunau was making somewhat less than that per year. Note: Serial number index not traceable. Plant closing year unknown. Braunau works - Numbering system-or index not traceable. The Braunau works operated as independent branch factory. No serial number records are found. Same chart as in "The Gustav Becker Story", above. Oddly enough, on this one, it's on the right side not the left. Having recently learned that Freiburg/Silesia is in Poland, there may be some issues in calling these "German" clocks... but probably not. Copyright 2002 by Dean Kinard. Not responsible for errors or inaccuracies. For reference only, use at your own risk. Sources used are listed above.